Great Highland hospitality and cyclist friendly accommodation. 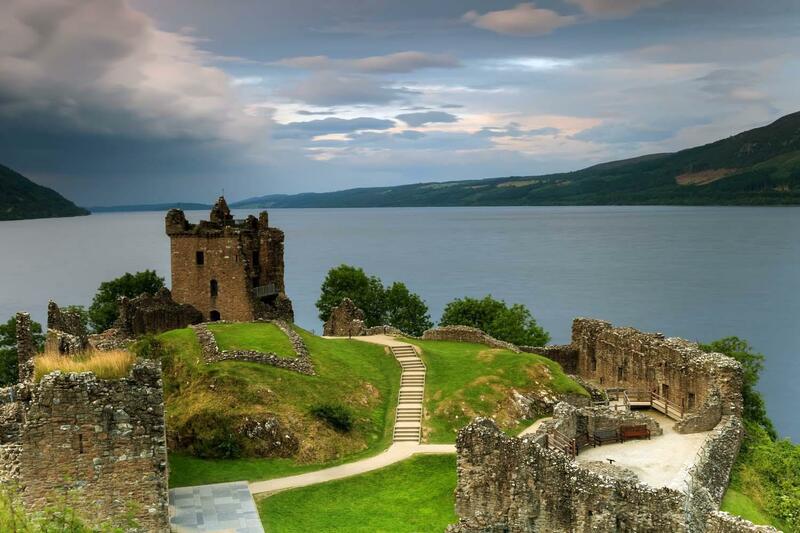 The Great Glen is an amazing geographical fault line that splits Scotland in two, forming dramatic lochs and glens and one of the most famous bodies of water in the world; Loch Ness. Biking along the banks of loch after loch, travelling from coast to coast is an amazing experience that immerses you in the iconic scenery of the Great Glen. From relaxing canal-side riding to flying down neat single track, the Great Glen Cycleway is a beautiful, challenging way to spend a couple of days. 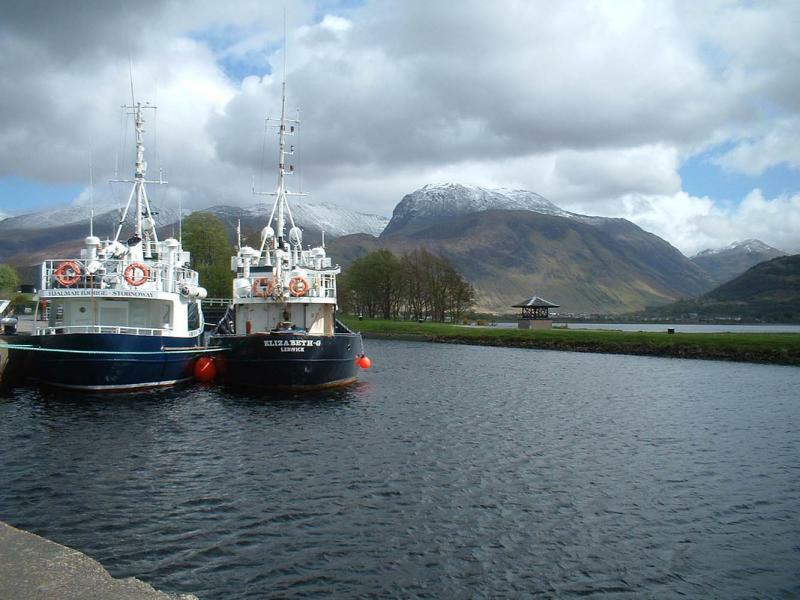 Your trip begins in the shadow of Ben Nevis, at Fort William. From there you ease into the journey by following the Caledonian Canal, passing the man-made phenomenon of Neptune’s Staircase. You will soon be cycling on single track and fire road alongside the first of a series of lochs, Loch Lochy then Loch Oich. 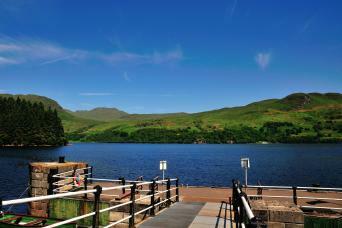 Reach Fort Augustus, the gateway to Loch Ness which dominates the rest of your trip. With challenging climbs to reveal magnificent views and stunning, high speed downhills, the trip really does have a little bit of everything. 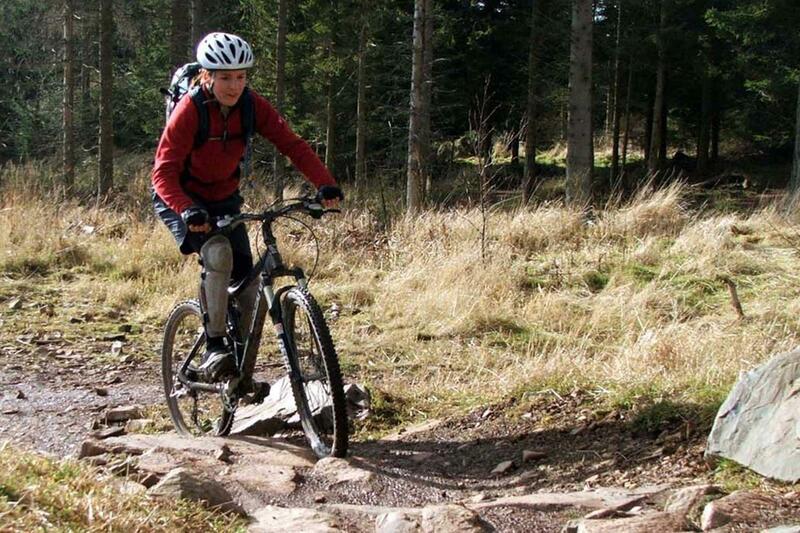 Stay at hand-picked B&B’s, guesthouses and small country hotels, and enjoy the convenience of daily baggage transfer on this wonderful mountain biking holiday in Scotland. 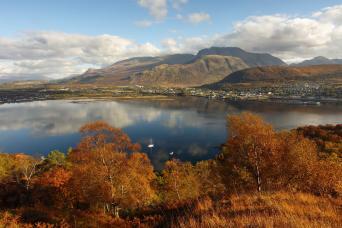 Fort William is the outdoor capital of Scotland and sits in the shadow of the UK’s highest mountain, Ben Nevis. It is a vibrant town, bursting with life and will cater for any cycling or outdoors equipment that you may need before you head off on your trip. The first section of your trip is mostly easy, following the traffic-free towpath alongside the Caledonian Canal. Cycling beside the water will present you with a close view of Neptune’s Staircase, the longest series of canal locks in the UK. Stay on the towpath until you reach the little village of Gairlochy where you continue on single track. You then turn inland and climb up above the loch on fire road through amazing, ancient forest up to Laggan before you skirt the main road on your way to Invergarry for the night. The morning begins by tackling your first really steep hill on a climb up behind Invergarry. 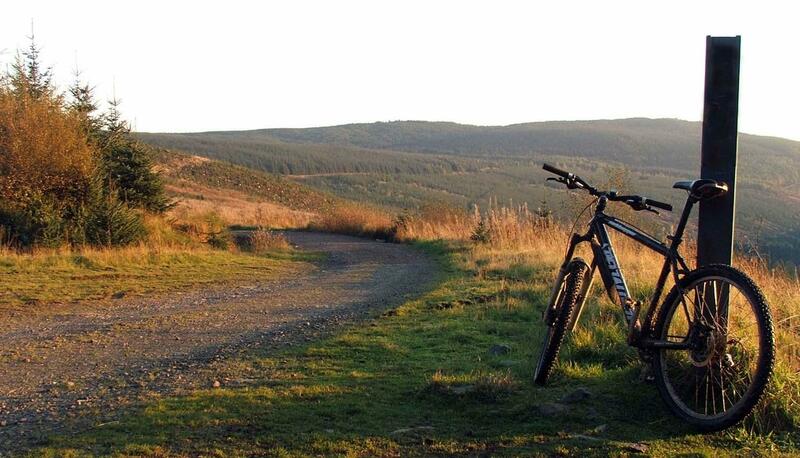 Once at the top a lovely stretch of single track through the forest eventually brings you down to Aberchalder. You are back on the smooth canal towpath until Fort Augustus, giving your legs a wee break. 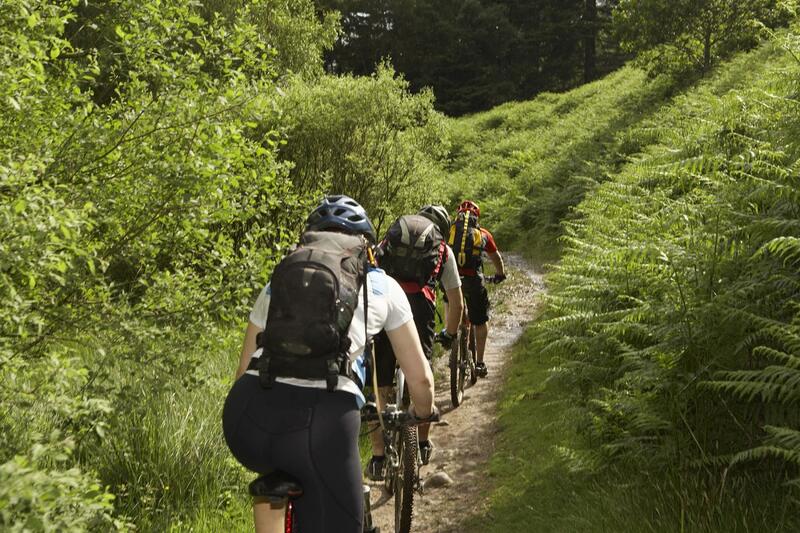 There is a short stretch of cycling on the busy A82 before you are on hilly forest trails. After glimpsing Loch Ness through the trees there's a thrilling descent into Invermoriston. A more challenging forest path undulates for the next 15 miles, but it is worth it for the view from the top and the inevitable decent. Your hard day's cycle finishes in Drumnadrochit, home to two Loch Ness Monster displays as well as a host of pubs and restaurants. Today provides a different take on the Great Glen as you climb sharply out of Drumnadrochit and away from the lochs that you have so faithfully followed. Today you will be cycling through more remote scenery. 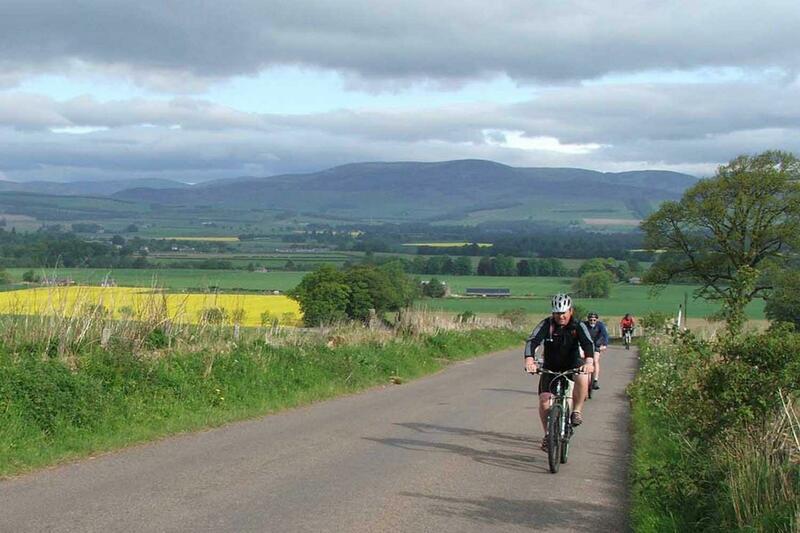 Most of the cycling today is on minor roads as you ride deeper into the hills and fields that surround the Great Glen. You cycle down past the charming Loch Laide before heading past the Caiplich Prehistoric Settlement, which is worth checking out even if only for the view. Then you are back amongst the hills before a long decent into the capital of the Highlands, Inverness. Inverness is incredibly well-placed for onward travel. There are rail and bus links to all major towns and cities in Scotland and air links to airports throughout the UK. One of the highlights of this tour is the high standard of the accommodation. You will stay in carefully selected 3 or 4 star B&B’s, guesthouses, country pubs and small hotels. A delicious breakfast is always included. You can see a list of some of the accommodations that we use for the trip by scrolling down the page. If you require single rooms within your party we will always try and accommodate you subject to availability. A single supplement is payable. A hearty breakfast is included each morning. Lunch and dinner are not included. Most of your accommodation will be more than happy to provide a packed lunch on request. Dinner is available either at your accommodation or at nearby pubs or restaurants. 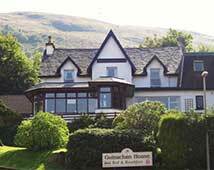 A warm welcome awaits you at Guisachan House, a family run private hotel offering bed and breakfast in Fort William. Berkeley House was constructed in the late 1800's. Following a total refurbishment in 1998, this traditional Scottish Guest House has kept much of the original characteristics, whilst adding many modern facilities. Glen Albyn Lodge is traditional on the outside and modern and eco-friendly on the inside. Dennis and Helen provide legendary hospitality and home cooking at their highly rated B&B. 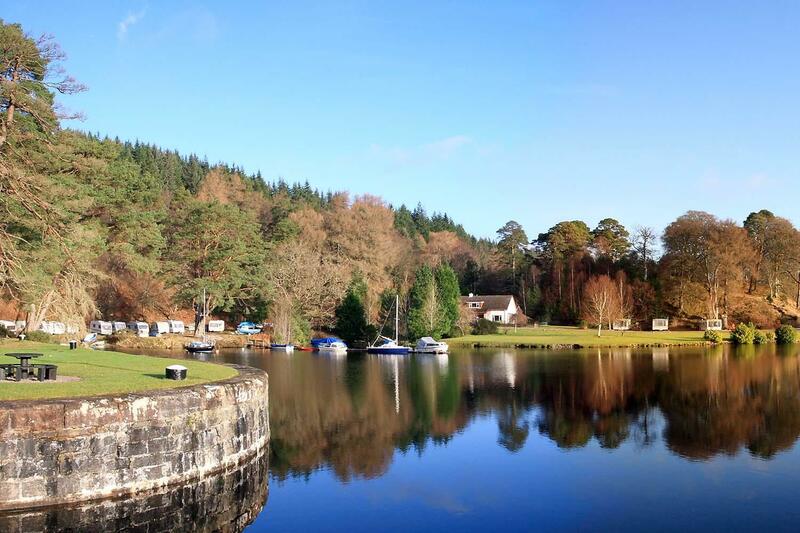 Situated in the village of Drumnadrochit on the shores of Loch Ness, this peaceful haven gives you all the relaxation you need on your hiking holiday. With five individually designed bedrooms and one of the best locations in the highlands, you are sure to enjoy your stay. The ambiance throughout Acorn House is one of comfort and relaxation - from the moment you walk through the entrance you will discover a warmth and friendliness unrivaled in Inverness. This trip is available to start on any day, from April through to October. Please note that at the moment Scottish Water and Scottish Canals are carrying out essential works and some sections of the trail around Fort Augustus are affected. We expect the works to be finished without affecting the season however we currently recommend getting in touch with our Destination Specialists at the office before making a booking online if you plan to travel this spring. The route is on canal path, singletrack, forestry road and minor road. It does involve some steep ascents and descents and is graded moderate to strenuous due to the tough climbs involved. The Great Glen Cycleway is very well waymarked, with pale blue posts marked with a thistle guiding your way. You'll receive maps and a guidebook to ensure you find your way easily. Daily door to door baggage transfer is included in the cost of your holiday. We ask you to limit your luggage to one bag of up to 18kg per person. Fort William is easily accessed from Glasgow. There are several daily trains that run which you can check on the Scotrail website. Alternatively there are several buses that you can book on the Citylink website. Should you wish to drive, there are a couple of B&B’s that will allow you to leave your car with them while you cycle to Inverness. From Glasgow there are frequent departures from either Queen Street Rail Station or Buchanan Bus Station. You can find further details for this section of the journey by going to City Link for buses or Scotrail for trains. Again Inverness is well serviced by Scotrail and Citylink and both can be booked via their websites. Inverness also hosts an international airport with flights to many places in the UK. If you are returning to Fort William to collect your car this is easily done by travelling on a Citylink bus which takes around 2 hours. 4 nights B&B in 3* or 4* guesthouses and small hotels. A detailed information pack, route notes and map. Travel to or from the Great Glen Cycleway. Lunches, dinners, snacks or drinks. We are often asked the following questions, and I hope that you will find the answers useful. Please don’t hesitate to contact us for more advice from our clients and team. We suggest you book as soon as your plans are finalised as the Great Glen is extremely popular and most departures fill up several months before departure. You will find up to date availability on our website, and please give us a shout if you have a query. The Great Glen Cycleway is a fairly tough trip because you are riding continuously day after day, but it is far from an endurance marathon. The itinerary is designed to be enjoyable for a regular rider. If you currently don’t enjoy that level of fitness, then regular mountain biking supplemented by cardiovascular exercise for at least six months before your trip is recommended. A good gym or personal trainer will be able to draw up a personalised training programme. Your bags will be transferred from your accommodation as per your itinerary and moved on to your next overnight accommodation. We ask you to limit your luggage to one bag of up to 18kg per person. You will need a good quality mountain bike and your normal mountain biking gear for a day ride with perhaps some extra warm layers if the weather is cold. You can download a full equipment list from our website downloads page. What type of mountain bike is suitable? Bikes of a certain price range are usually a good way to tell if your bike is going to last the pace. Anything from around £600 and up would generally do, but front suspension and hydraulic brakes are other good indicators. You will get away with a slightly less expensive bike as long as you have front suspension and it is well maintained. More expensive full suspension XC bikes are also perfect, but you should avoid downhill or "all mountain" bikes which tend to be a bit heavy and have too much travel. How do we get to and from the trail? 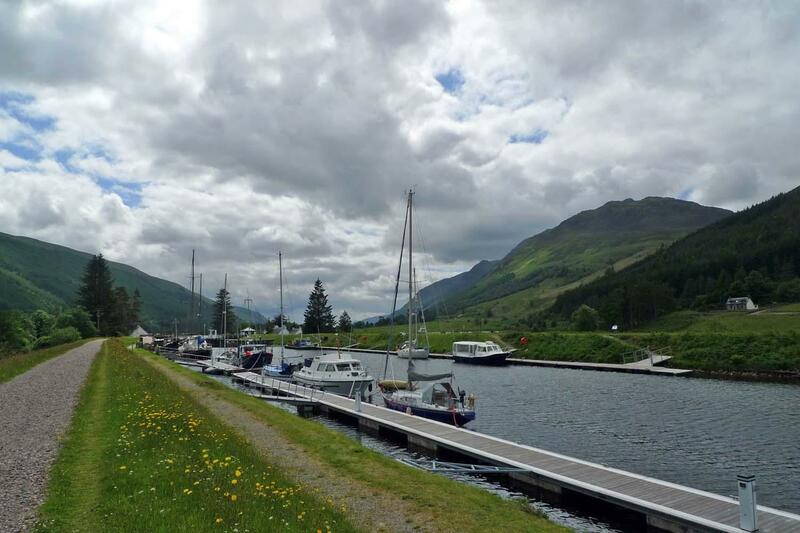 Fort William is the gateway to the Highlands and is serviced by local train and bus services! 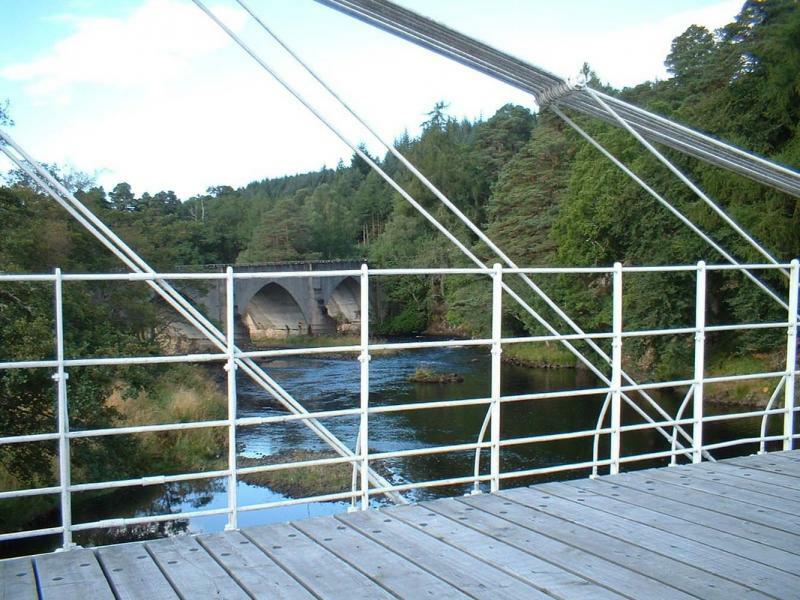 With these services, you can connect easily to the start of the Great Glen Way trail with direct trains running from Glasgow city centre to Fort William (approx.. 4 hours). 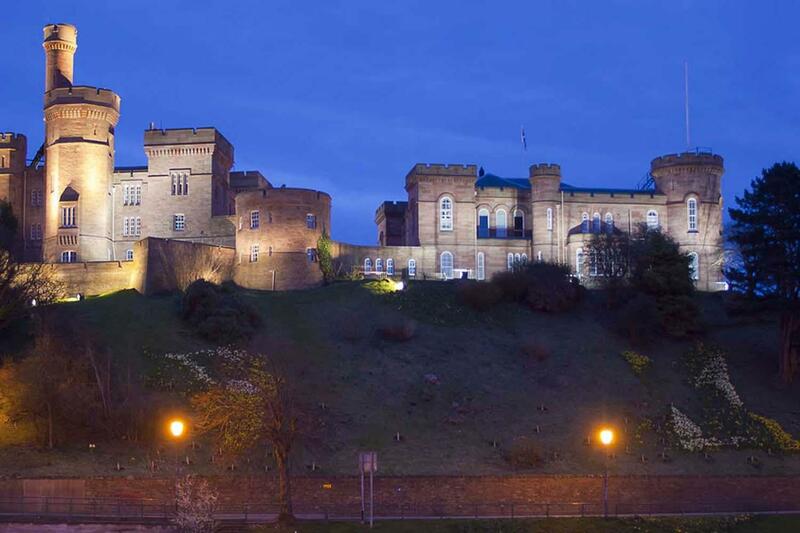 Getting back from Inverness is also easy and there are again train and bus services onwards to Glasgow and Edinburgh city centres. Please check our local journey planner Traveline Scotland for more information. The summer months are best as the weather tend to be better and the daylight hours are longer. What are the midges like? Midges are small biting insects (much like North American gnats) which are prevalent in the summer months. They are particularly bad on still, overcast days but do not bother you if you are moving, the wind is blowing, the sun is shining, it’s raining, or you are inside. As long as you carry repellent for the odd occasion you may need it they shouldn’t have any impact on your experience. What happens if I can't cycle a stage? This was a great 3-day trip. Although I questioned what the heck I was doing there some of the time I was very glad I did it. I'm 56 years old. Be prepared to walk some portion of all 3 days due to long, steep sections. Some were easily 1.0 mile or longer climbs. There's plenty of time to do this, just keep in mind a lot of strong, fit cyclists will be pushing their bike up portions of the course. This was a great way to be outdoors and see Scotland up close the way a lot of people don't get to. It was strenuous and we got lost a few times but figured it all out in the end. Did have a mix-up with directions on the first day which resulted in about 6 extra miles in the rain but it just added to the adventure! This trip is exactly what my husband and I were looking for. A combination of great exercise and seeing a part of Scotland which we wouldn't have experienced otherwise. All the accommodations were excellent. As always, you have to be somewhat flexible when on a trip like this.... with respect to weather of all sorts, and even a little differences between each night of accommodation - from more modern ( Fort William - McLean guest house,, Drumnadrochit - Woodlands) to fairly rustic ( Craigard Guest House - in Invergarry). The couple who own the Craigard are wonderful and colourful people. We were happy to stay at all of the accommodations after a long day of biking. If anyone undertakes the Great Glen Way - one word of 'warning' - watch the signs on the Invermoriston to Drumnadrochit section. There is a high route and a low route. We intended to do the low route - but misread the sign ( may have been our mistake / but we didn't know we were on the high route ( challenging steeps ) until 1 hr or more in.... Turned out to be the best thing with the view and the challenge / we laughed our heads off about it afterward but for people who might be a little cautious on the bike / might have been a nightmare. Had a great time. Beautiful scenery, accommodations were great, as was the bike rental, and my luggage never got lost. Also, the Macs Adventure rep was very responsive - always got back to me within 24 hours. One head's up - this is trail riding. I know they say that. Sometimes it's crushed rock and very flat. Often in the hillier parts, the trail is the width of the car. But sometimes I was riding on footpaths. For my training, I was biking 40 to 60 miles on roads and doing some big hills, but biking up hills on trails is a different story. I'd still do the whole thing again, and this is out of Mac Adventures's hands, but just be aware of that going in. An Awesome Adventure on the Great Glen Way! My wife and I cycled the Great Glen Way in August of 2016 with our daughter, age 12, and our son, age 10. We had a spectacular time! The trip was meticulously organized by Andrew Girdwood and Mac's Adventure. The route itself is a perfect blend of smooth easy canal towpaths, somewhat more challenging forest roads, and very challenging single track. The vast majority of the route is free from vehicular traffic, which is a major plus when cycling with kids. The challenging segments were frequent enough to be exciting and satisfying, while not overwhelming or frustrating for any of us. We have stayed in many B&B's in Britain over the years, and therefore we had a great point of reference to evaluate those we visited on this trip. Each night's accommodation was among the best we have ever stayed in. They were obviously well selected by Mac's. The support provided to us on-route by both Mac's Adventure and Nevis Cycles in Fort William was superb. Unfortunately we had occasion to put this to the test, when I had a chain break in a remote highland area between villages. I was immediately able to contact Andrew (with Mac's) via cell phone, and he took action immediately. An hour and a half later, after coasting into a small village and relaxing in a coffee shop, a new bike was delivered to me by Nevis Cycles! It's definitely a major plus to go with a company that has your back throughout the trip. I was really impressed by how well organized the trip was. Everything went so smoothly - our accommodations, bike rental, and luggage transfer - it was wonderful! To be able to ride across the highlands and arrive each day in a new town welcomed by warm and friendly hotels/b&bs with our stuff already there was just perfect. The ride itself is certainly challenging so several days we were a bit drained, but the whole experience was exhilarating. I used to think the ideal vacation was spending time on the beach doing nothing, but this biking trip has changed that. I would absolutely recommend this adventure to anyone of reasonable fitness who wants to spend their time off doing something that leaves them in awe of nature, and with a sense of accomplishment that is more relaxing and recharging than one might expect. The only con, which is not Macs Adventure's fault, is that the Great Glen Way trail is poorly marked in some spots, so we got slightly lost a few times. We really enjoyed this trip; after carrying our luggage when we cycled across the US, it was such a treat to have MACs transport it and take care of all of the planning. Each B&B was comfortable and clean, and the breakfasts were delicious. Amazing - but hard work! My daughter (13) and I completed the GGW last week and loved it! All our accommodation was great - very friendly and helpful. Day 1 was pleasant, easy riding on good quality and mostly flat routes from Fort William to Invergarry. Day 2 started the same way as far as Fort Augustus. Good sandwiches from the butcher there before embarking on the first of our big climbs just as the rain started, up and back down into Invermoriston. Good cafe there, a couple of hundred metres past the big hotel. The rain didn't relent for 5 hours by which time we had all but conquered the climbs for the day - hard, long and challenging but a good sense of satisfaction. Good hot chocolate served in the Ness Pottery cafe. Overnight in Drumnadrochit to face arguably the toughest climb of all on the last morning. It was steep and the path a bit rocky but well worth it when we reached the highest point of the route. A lovely ride across the top of the plateau and a compulsory visit to the eco café at Abriachan for a warm welcome and more hot chocolate. Then the final descent for the last 6-7 miles, unfortunately marred for us by a nasty fall and smashed helmet when my daughter came off the path - lack of concentration on her part, rather than anything to do with the path. However, all in all, a real challenge and worth every mile! Great views of the great glen, beautiful scenery. Great way to see streams, waterfalls, plants and flowers. Long days of hard biking with very steep hills- often I was too tired to visit the attractions due to the long biking days. Experiencing the Great Glen from the saddle of a bike is something that any mountain biker will enjoy. The long stretches of tow-path make for relaxed riding while the single track and fire road provides more of a challenge. 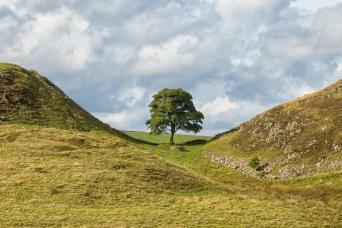 With such stunning views and scenery the challenge is always a worthwhile one.